I feel it’s safe to say that everyone can appreciate a good themed event especially when it’s a little out of the box. 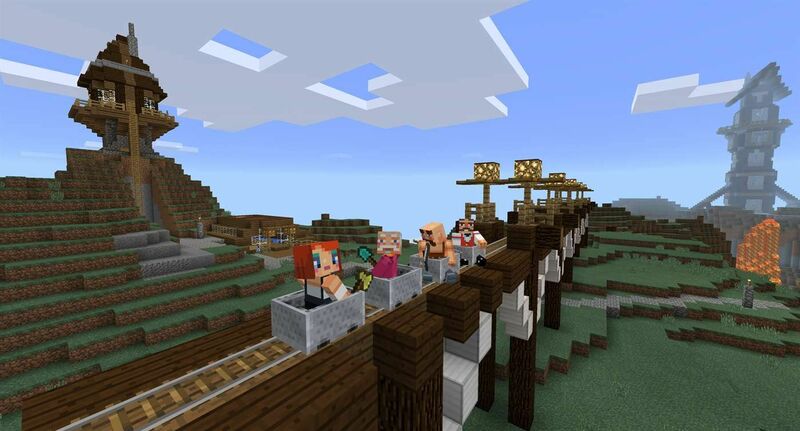 With the arrival of the beloved pixilated first-person adventure game, Minecraft in new virtual reality there is now more reason to celebrate than ever before. Bringing the nostalgia of the early 2000s and the pixilated quirkiness of the game to your event is not only creative and fun but great for children and the child in us all. 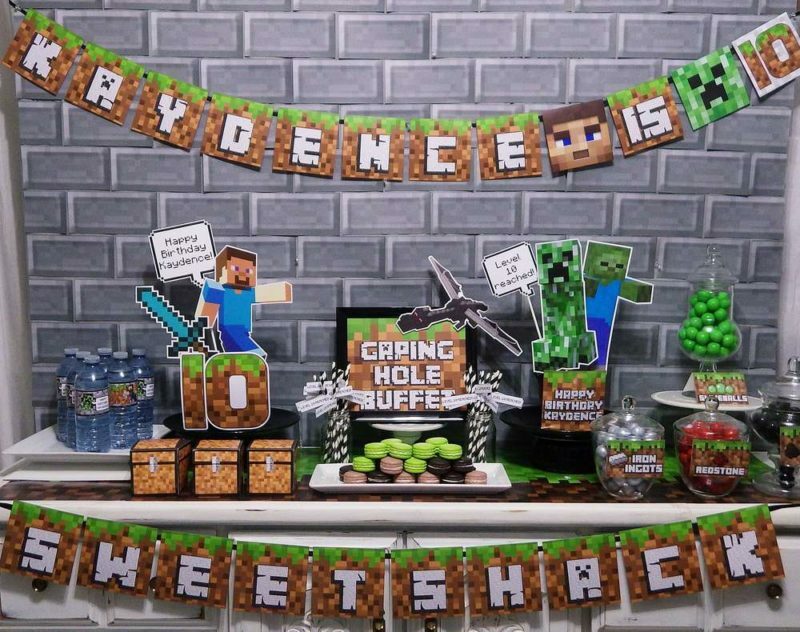 Let’s start digging into a few unique Minecraft party ideas. 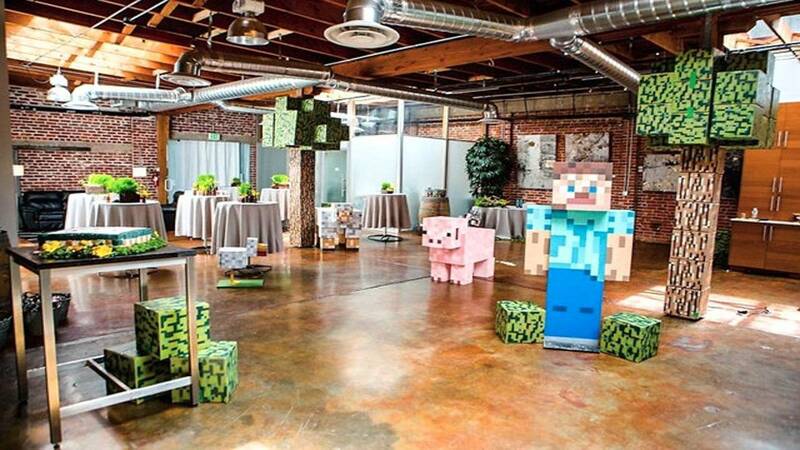 Of course, a Minecraft themed event is not complete without the pixilated experience itself, and what better way to experience the whimsical world of Minecraft than with first-person virtual reality with up to four guests at a time. 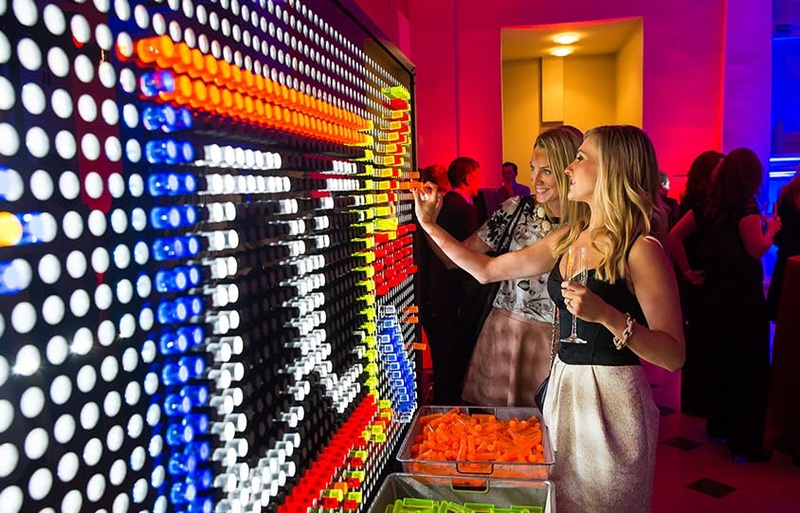 For those looking for a more traditional way of getting in on the fun, guests can also play Giant Jenga, or create giant pixelated works of art with the illumination station Giant Lite-Brite installation. Every event has its memories that are too precious to forget. 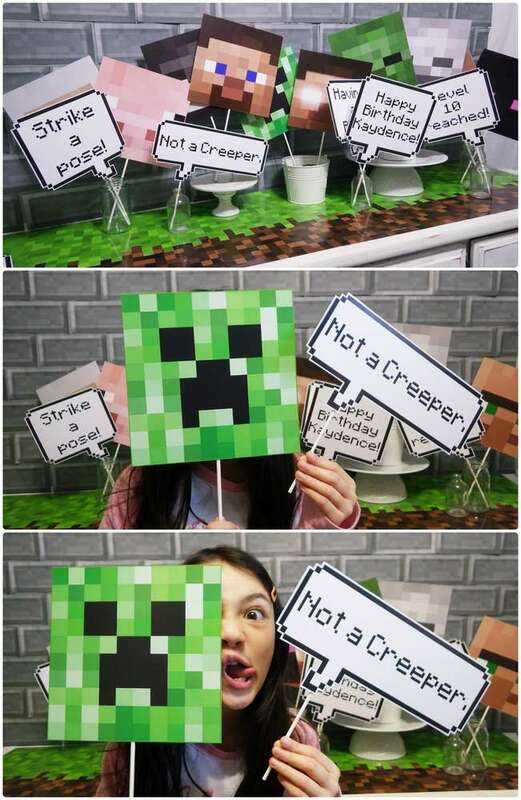 Now guests can take home a little bit of the Minecraft world with them with a themed photo op with their friends, family or, co-workers. The magic of photo booths are not just that they capture some of the greatest memories, but they can be customized with whatever props you can imagine. If you can imagine it, chances are that our event team can bring that vision to life. No matter the venue, big or small, there is a way to transform any space with just a little imagination. 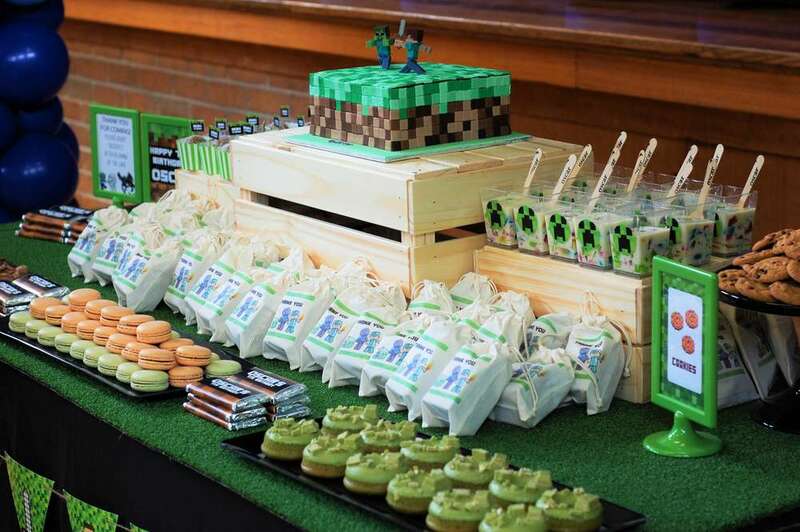 Re-creating the pixelated video game world that is Minecraft is not just a lofty idea but a totally achievable event theme perfect for any kid-friendly birthday party, corporate event, hackathon, or fundraiser. 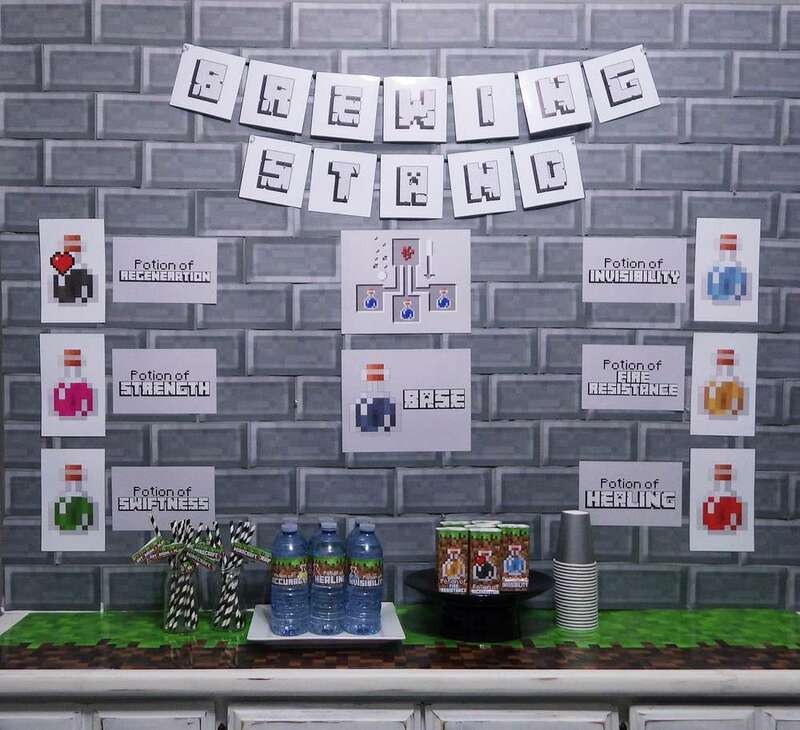 Indoor or outdoor, with the addition of colorful pixilated props, LED uplights, and a sound system, you can recreate the perfect whimsical video game inspired event for any occasion. 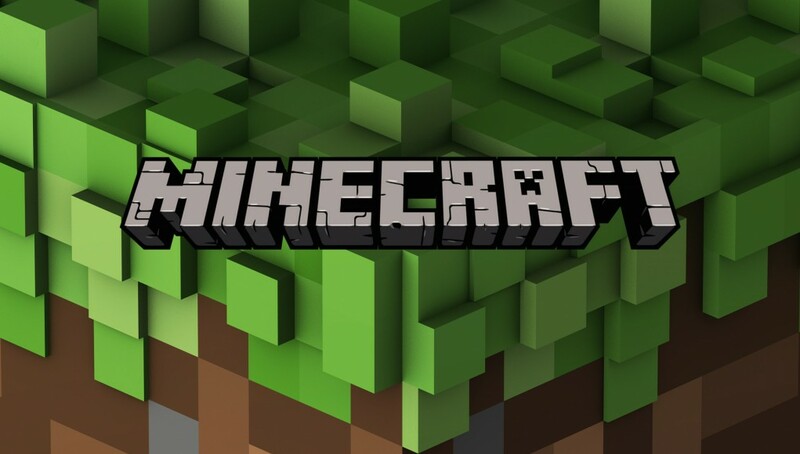 Now the question on everyone’s minds: what does one have to drink in the world of Minecraft? 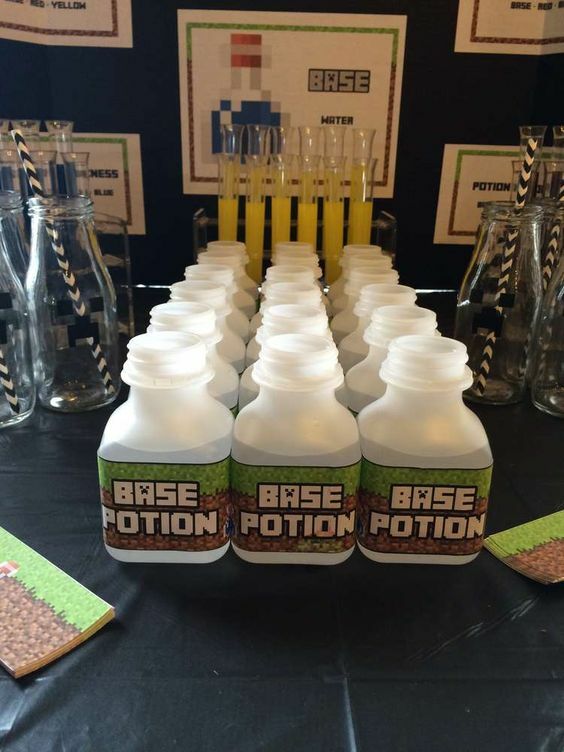 Well for those of age, your Minecraft inspired event could feature a potion mixing station with a properly licensed mixologist to serve the potion cocktails. 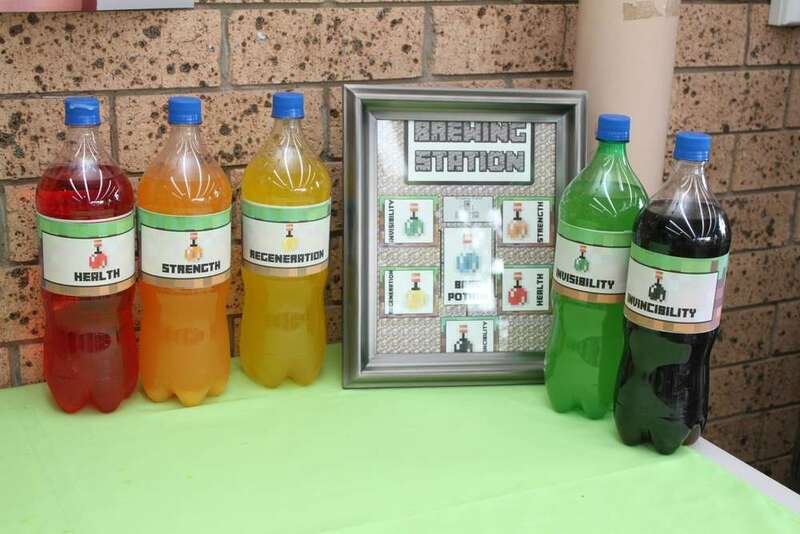 After collecting the various potions throughout the game, guests can enjoy the fruits of their labor with an ice cold potion and for the children or the kids at heart, there can also be a non-alcoholic position mixing station with your juices, sodas, and other mixers of choice. 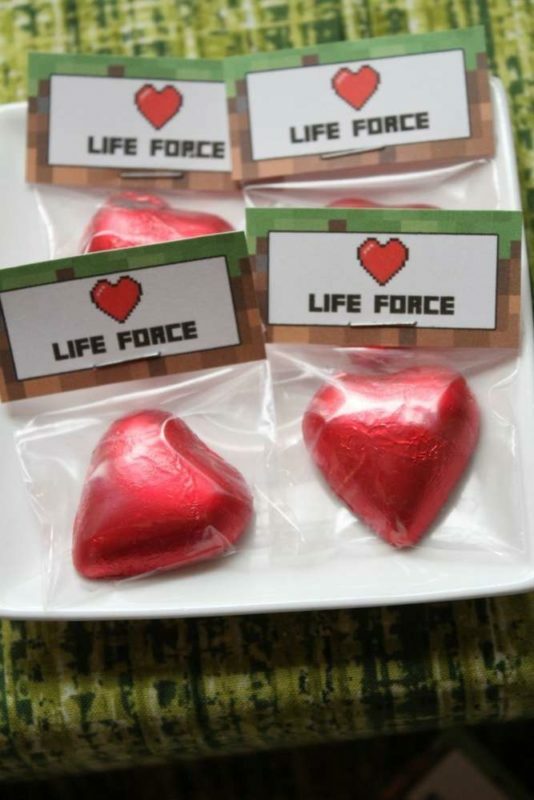 Of course with all the exploring one does in the virtual pixelated world of Minecraft they will certainly work up an appetite. 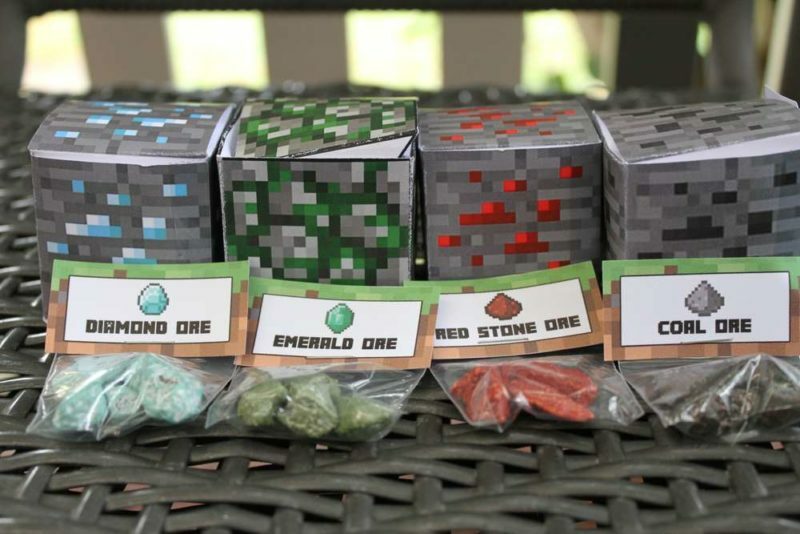 Fortunately, the world of Minecraft has an abundance of items and treats available for everyone to enjoy. 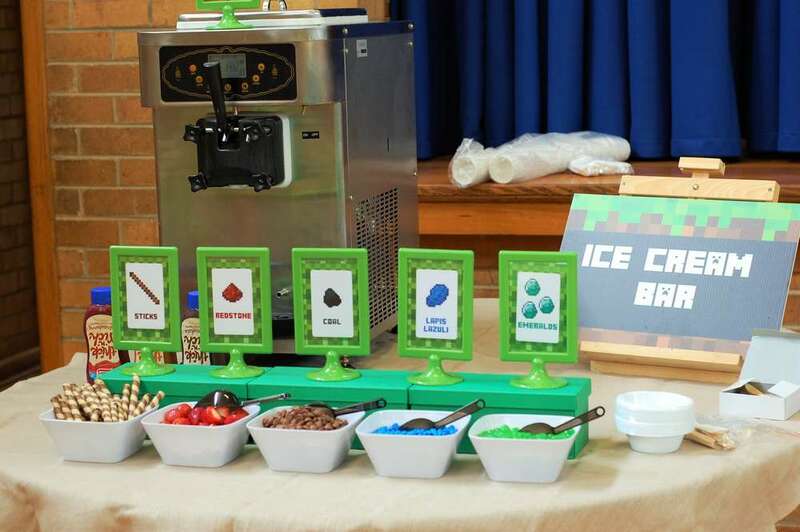 Whether it be an ice cream sundae bar with the various gem toppings found through mining or pixilated rice crispy bars, the options are endless. 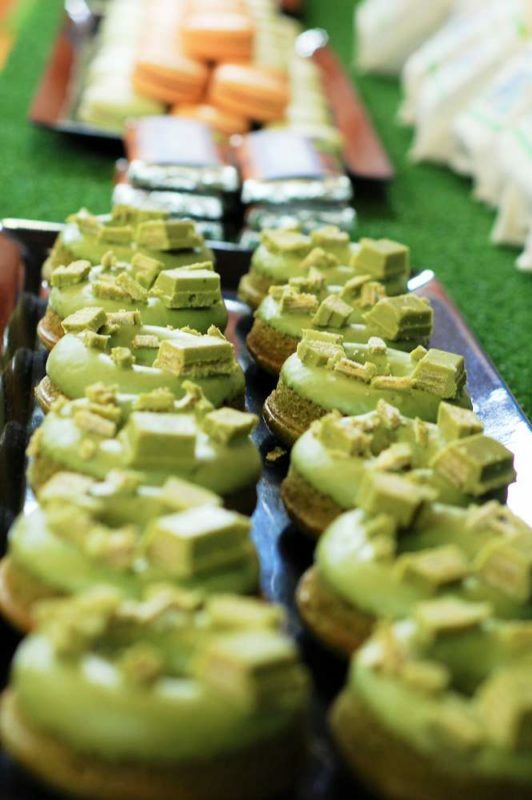 Guests can even decorate their own Minecraft themed cookies for the event and take them home as a parting gift. 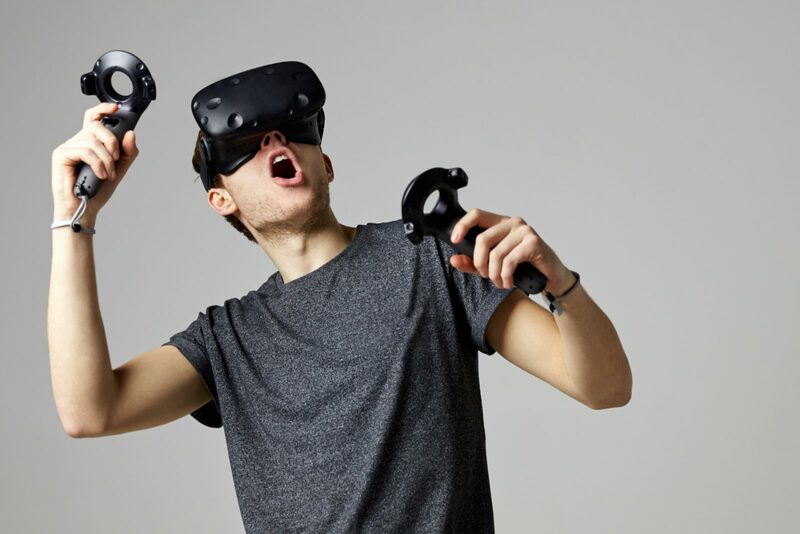 Overall, the joy of this throwback video game is making its comeback into the new and exciting world of virtual reality entertainment just goes to show that there is never a bad time to get back in touch with your inner child again. 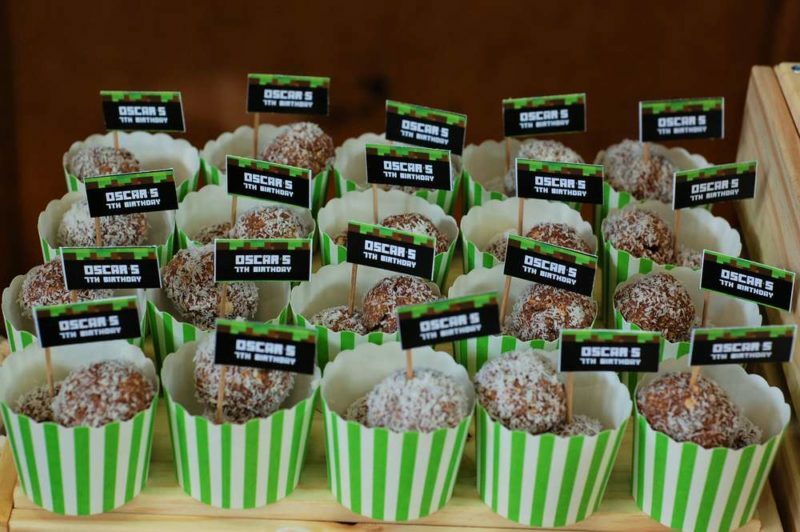 There are endless possibilities for creative themed events, from Breakfast at Tiffany’s, a Night at the Oscars, to a Polar Express themed Holiday Party, our event planning team have seen and done it all!